Enjoy an old fashioned 4th of July celebration at Old Town State Historic Park with a parade, crafts and activities of early San Diego. Wagon rides, period games, music, food specials, pie eating contest and much more are included in this afternoon of family-fun. This is truly a must see San Diego attraction. San Diego Big Bay 4th of July Fireworks! 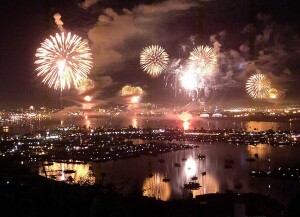 In just a few weeks, the skies over San Diego Bay will come alive with fireworks in celebration of the Fourth of July. Preparations are underway for the Big Bay Boom July 4th Fireworks Show, sponsored by the Port of San Diego. 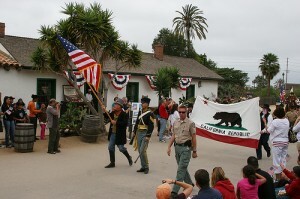 This will be the show’s 11th year, and it will take place Monday, July 4, 2011. Posted in San Diego | Comments Off on San Diego Big Bay 4th of July Fireworks! You are currently browsing the Old Town Trolley Tours Blog blog archives for June, 2011.